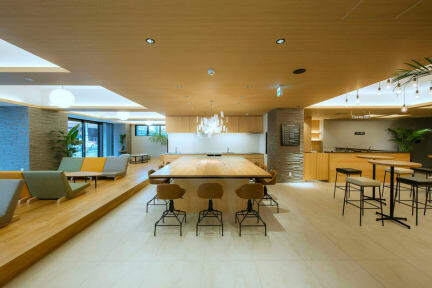 montan HAKATA is a brand-new Hostel just in Hakata, Fukuoka. It's located in 8 min from JR Hakata Station and also 15 min from Fukuoka Airport by train. We have many kinds of rooms such as, mixed dormitory, female dormitory, double rooms, twin rooms, triple rooms, family rooms, quad rooms with 2 bunk beds, quad rooms with 4 single beds and Japanese style rooms. montan HAKATA is the best choice for staying with your family, friends, and of course by yourself. Staff can speak English and Korean as second language. We are waiting for your reservation! You can play table tennis at the hostel. The hostel also offers bike hire. Tocho-ji Temple is 1.4 km from montan HAKATA Hostel, while Kego Shrine is 2.6 km from the property. Fukuoka Airport is 2 km away.